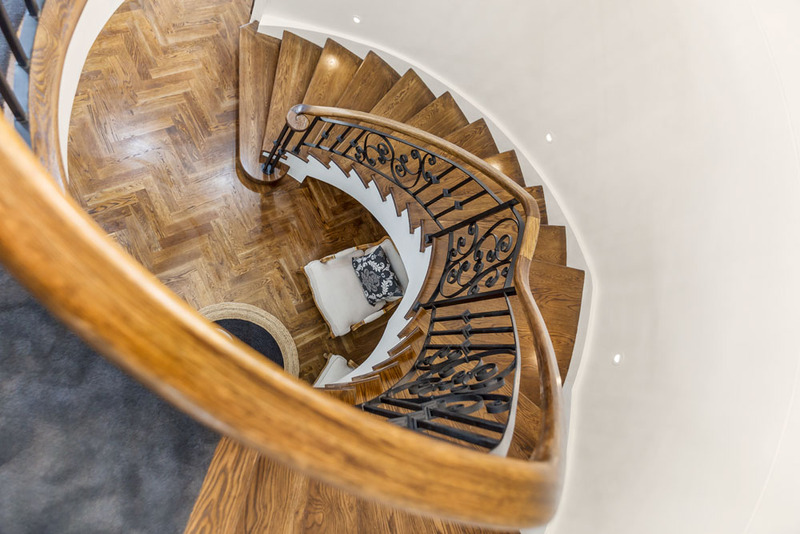 Whether you are looking for a modern or traditional staircase, a classic French provincial or glamorous Hampton style, the sweep of a curved staircase brings a touch of elegance to any home and can soften the sharp lines and rigidity of even the most ultra-modern design.As a staircase designer and manufacturer with 25 years of experience, Ian Crosher, Managing Director at Signature Stairs has the ability to marry the complex geometry, engineering and precise workmanship needed to create a curved staircase that flows seamlessly from one floor to the next.In areas where space is tight, a small curving stair adds elegance while the spiral design makes the best use of available space. 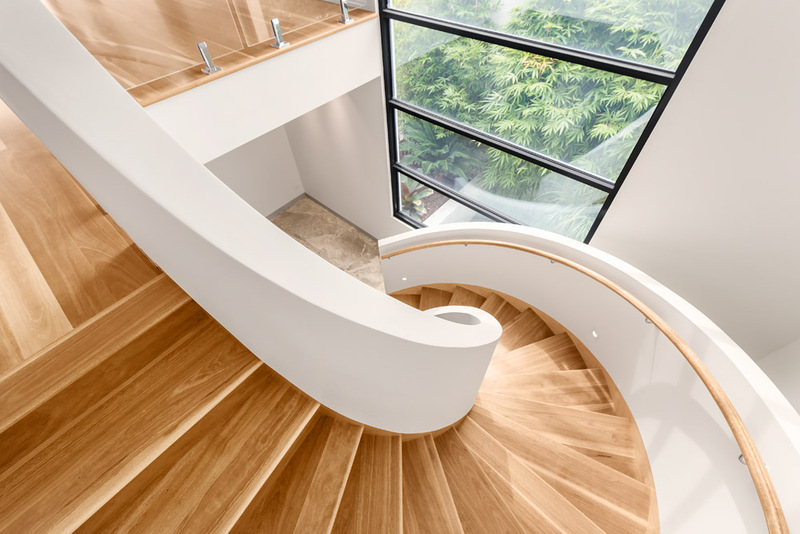 Where space is plentiful, the stair can sweep around the outside of a room, encircling the space or even splitting off into two flights, forming a `T’ shape. 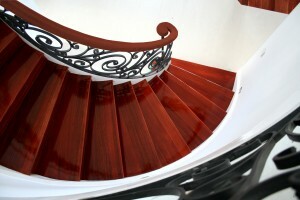 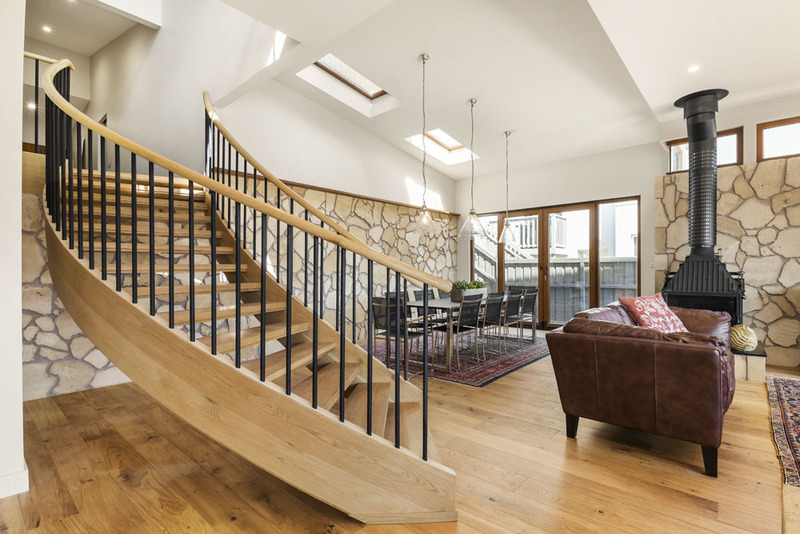 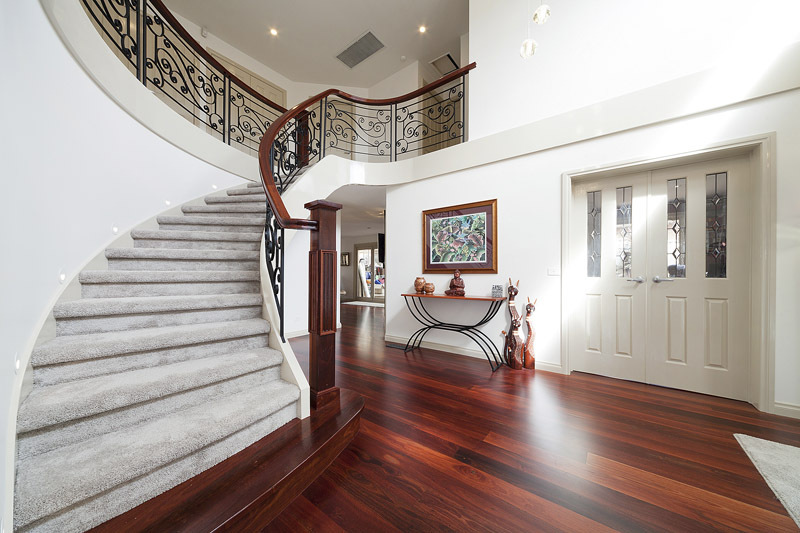 With the added combination of polished timber and wrought iron balustrading it becomes a grand focal point in any entry.A freestanding open staircase design with a full 180 degree curve can be an architectural centre piece in a modern home, while a custom made double geometric spiral stair (stair above stair) was designed and manufactured by Signature Stairs so that it would also add strength to the upper floor, eliminating the need for additional supports that would have compromised the overall design of the home. 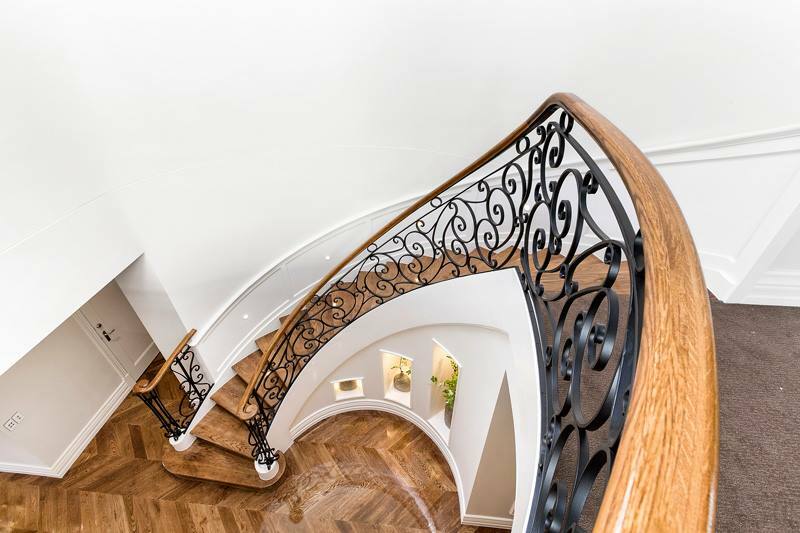 Coupled with a low-wall balustrade that followed the same sweeping curve, the result was a clean, striking and thoroughly contemporary look.